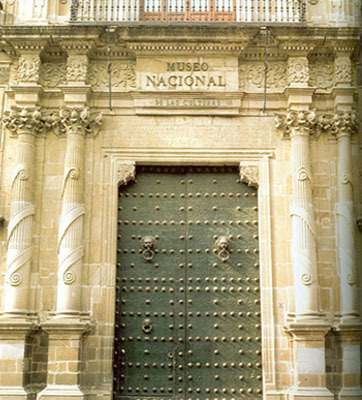 Housed in the old national Mint, the 'Casa de Moneda' is one of the largest collections of Bolivian artifacts in the country. Separate rooms display archaeological findings, rocks and precious stones from around the country and endless walls of priceless artworks. Most visitors flock to those by Holguin and the strikingly powerful 'La Virgen Cerro', depicting the Virgin Mary as the mountain which overlooks Potosi. 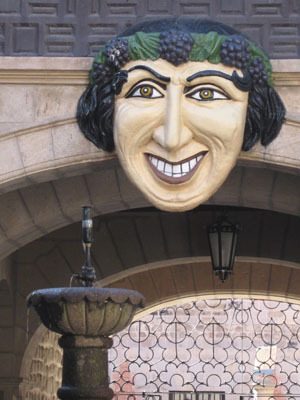 The grinning mask of Bacchus, which hangs in the main courtyard, is said to be ironically directed at the Spanish as they departed from Bolivia. Amongst the many things they left behind are some of the country's original coins or 'macquina' on display in the museum. Entrance is by guided tour only, leaving frequently once the groups are big enough. The tour (available in French, English and Spanish) takes about two hours and is well worth it. Wrap up warm though, it is an old building and some bits can get rather chilly. Entrance is 20Bs, with an extra 20Bs to take photos and 40Bs for videos. There are a great deal of good photo opportunities but the video charge is probably a waste of money.